January, 2007 - What got me started on this topic was the F. H. Dietz labels like the one just below, of which there are many. 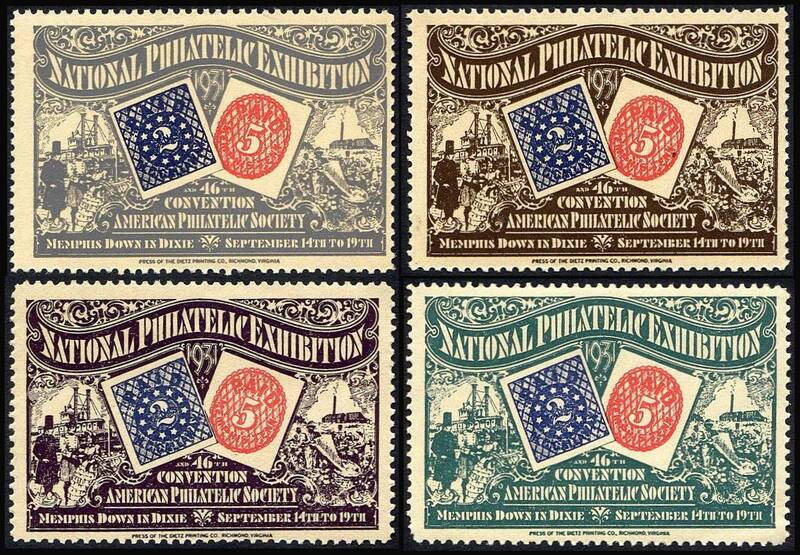 Any serious poster stamp collector has seen them. 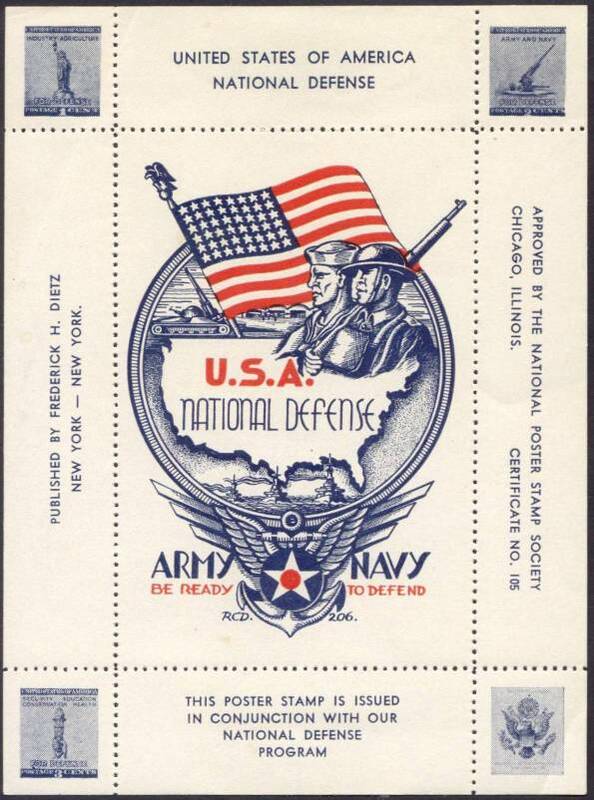 By the time I had accumulated five or six different designs, all of the same format, and all with the "National Poster Stamp Society Certificate No," I was curious who Dietz was, and how many of these sheetlets he produced. 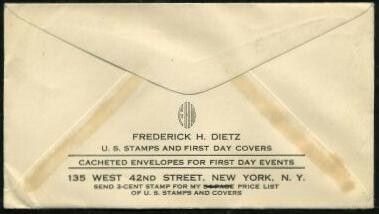 Dietz's creations are not quite poster stamps, being much too large for a stamp. They are more what I would call souvenir sheets. Some of them are relatively common, and their consistent format makes them appealing to collectors who like matched sets, like me. I accumulated fifteen or so, then started to wonder how many different designs existed. The certificate numbers on them suggested there were over a hundred. Then I noticed that I had a couple that were the same format, but did not mention Dietz, and a sheet with an entirely different format that also had a PSS certificate number. Below is the sum of my knowledge to date. A word of caution is offered here to the user of this reference work. The information was compiled as a working inventory, not a price list. The dollar values were purchase-prices paid at some historic point in time and should not be construed as estimates of current or consistent value, either today or at any particular point in the past. Moreover, the market for such material has changed substantially since much of the data was originally compiled. Since their work was compiled 20 years ago, that caution is even more relevant today. Prices on most of these items vary according to the sales venue and the competition. 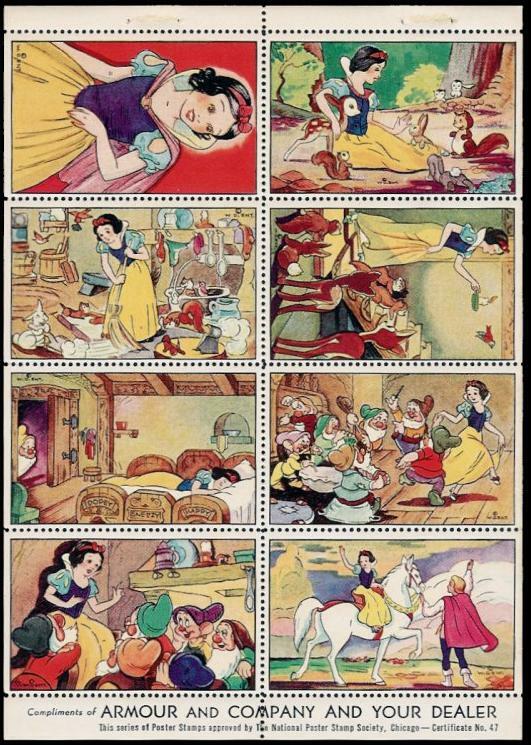 Check completed listings on eBay and cinderella dealers like Rigastamps for current prices. 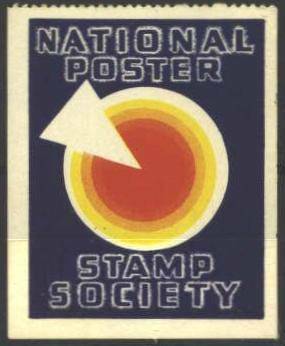 10/22/11 - I recently learned that the National Poster Stamp Society - in addition to issuing the Certificate Numbers that launched me on this project - published a newsletter called the Poster Stamp Bulletin, and I thought it might contain information about the Certificates the Society issued. I checked several philatelic libraries, and found that the Western Philatelic Libary, in Sunnyvale, CA, has a fairly complete set of the PSB. And they were willing to lend them to me by mail. I awaited their arrival with great anticipation. What I found was a disappointment. The Library has all but 14 of the issues from 1936 (Volume 1) through 1951 (Volume 17 - the numbering got bollixed, so one volume number was skipped) - so far, so good. And the Certificates are mentioned occasionally, but almost never their numbers, and the comprehensive list of numbers and descriptions that would have allowed me to complete this page was not present. stating that the NPSS would be issuing certificates. 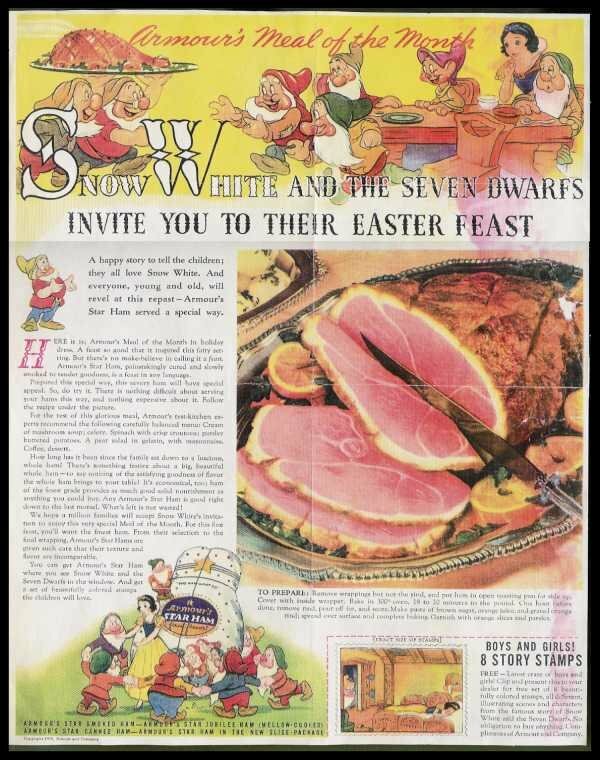 And in that same issue, an announcement of the Snow White and Seven Dwarfs set. No number is mentioned, but it was given number 47, so apparently they numbered earlier sets retroactively. That would explain why I have been unable to find any entries in that long gap from 1 to 46. However, there were images of some of the sets for which I had only a description, so I have added those below, plus notes about some that seem to belong to the list, but for which I have no numbers. I was able to add only one definite entry (#100) to the list from the PSB. A sad disappointment - after going to all the trouble to create the certificate system, they don't seem to have taken it seriously. 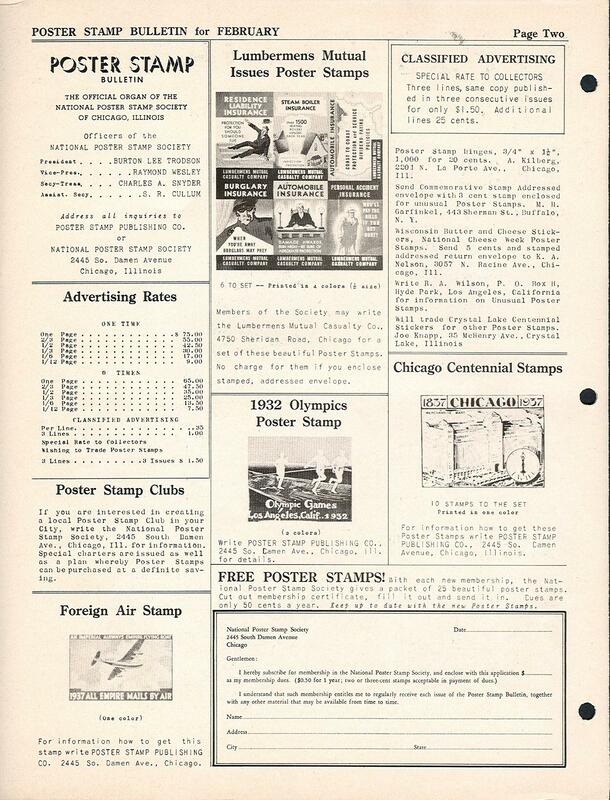 Moreover, while the early issues of the PSB seem like a legitimate newsletter of a real collectors group, with articles and letters and announcements, the later ones are little but publicity for The Poster Stamp Publishing Company of Chicago, whose ads fill every issue, so it appears the Society and its Bulletin became simply a front for the Company, which presumably printed all the poster stamps for which it issued the Certificates. I don't suppose that matters, but somehow it bothers me. Whatever. 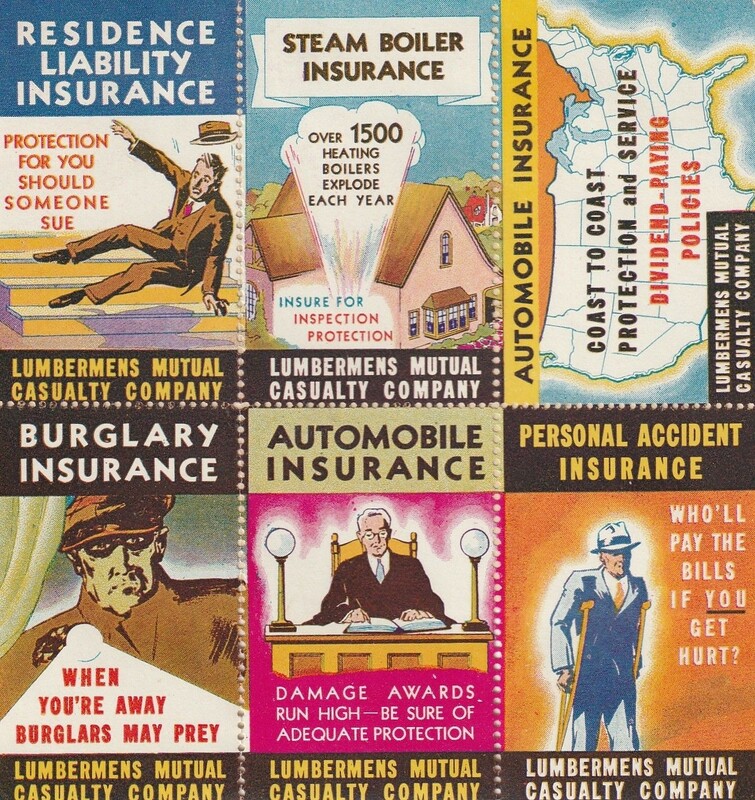 Sheet of 6 (3 X 2) Stamps with scenes relating to various types of insurance. 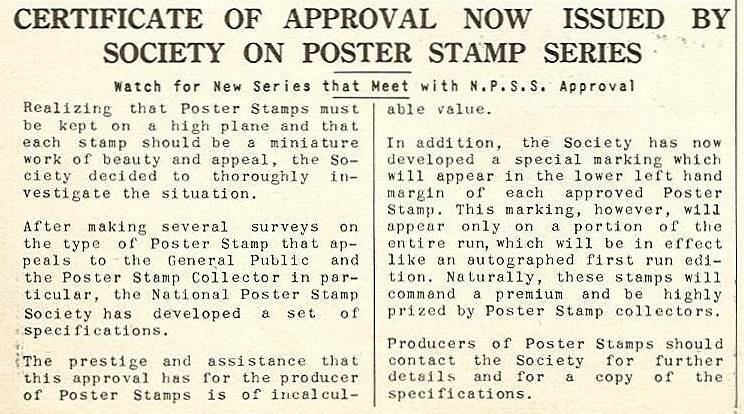 Mentioned on PSB page 03-1- 2 (Feb, 1938), so that dates it, and the notice enclosed with this copy of the sheetlet says it was approved by the Society, but no cert number, so I am assigning 48 as the most likely candidate. 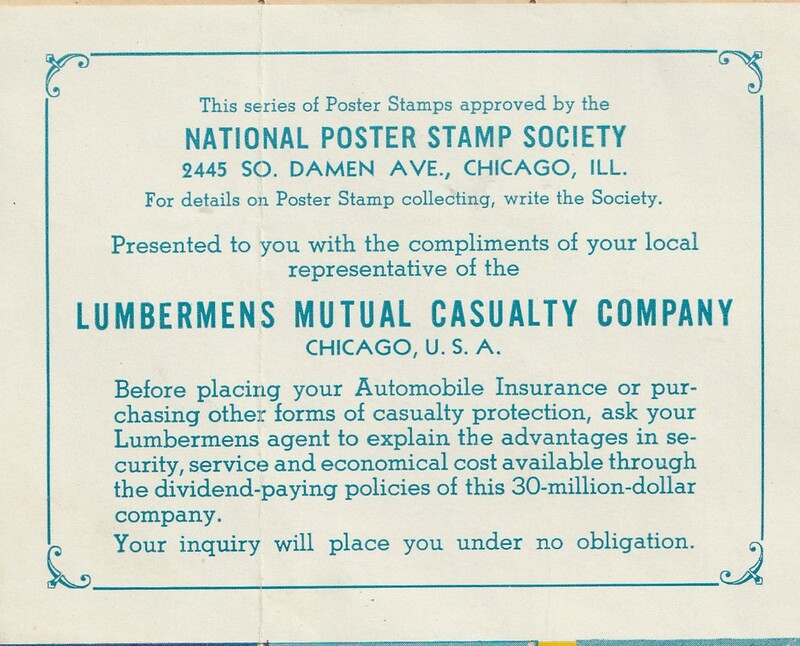 Text in narrow bottom selvage reads "THIS SERIES OF POSTER STAMPS APPROVED BY NATIONAL POSTER STAMP SOCIETY, CHICAGO--CERTIFICATE NO. 51"
Note the straight edges on all sides of the sheetlet - I have seen three examples, all like this. 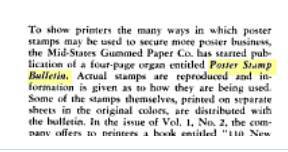 I have seen single stamps completely imperforate, as well as stamps with straight edges on sides other than as shown in the sheetlet.